Is your assignee going abroad with children? Between helping a Zurich-bound assignee complete Swiss immigration paperwork for each of their kids to finding a great family-friendly neighborhood, an overseas adventure can’t begin until everything’s set for your youngest charges. But before your assignee and their family moves into that charming flat in the Oerlikon neighborhood, it’s important that they—and you!—understand the school system their children will be entering abroad. In some countries, schools can be incredibly different from their counterparts in the United States. While kids are surprisingly adaptable, this can be a difficult transition on children and their parents. That’s why it’s important for your assignees to know what to expect and how to navigate the school system their children are entering. Keep reading to find out how to help assignees with children prepare for sending their kids to school abroad. International or local schools- which do you choose? One of the first decisions parents should make before moving abroad is whether to send their kids to an international school or a local school. Like anything, there are pros and cons to each decision. If your assignee's children are already in high school or the assignment is in a region without access to strong education programs, children are likely better off at an international school. These institutions, most often American or British in origin, follow a curriculum designed to apply for students all over the world (often the International Baccalaureate system). Classes are often taught in English, and most of the students are also of international origin. However, local schools can be an excellent choice for immersing children of assignees into the culture of their new home. Here, children will be required to speak the local language and learn according to local education standards, giving them a huge opportunity to learn the language and culture and make local friends. While it can be a huge transition for children who don’t go into school speaking the language, they’ll soon adapt. Remember, neither school system is the better choice across the board. It’s important that your assignees look into both local and international school programs to figure out which system works best for their needs. 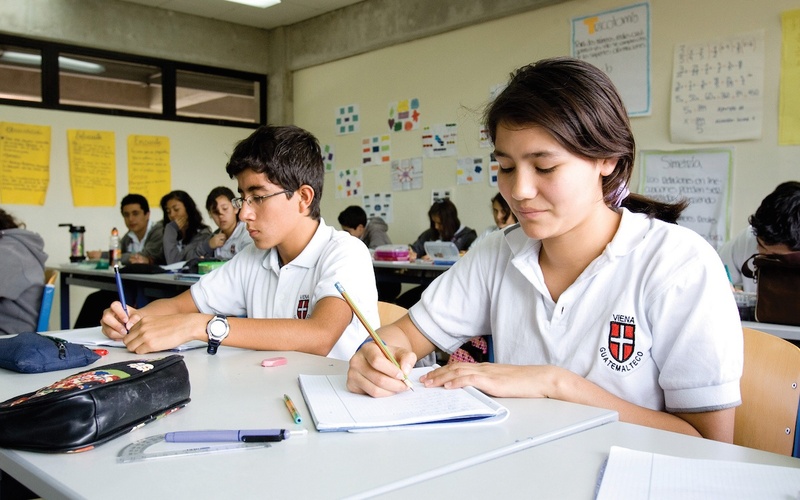 Did you know students in Argentina have a school year that begins in March and ends in mid-December? Or that German students moving on from their primary schools have five different schooling options for their secondary education, each preparing students for a different level of job preparedness or further education? Details like these show how important it is to research even just the basic information about the school system in your assignee’s host country. Before your assignees set out on their overseas adventure, help them uncover details about their host country’s school system. Knowing how rigorous the curriculum is, what students of the same age as their children are learning and how local school districts operate will help them make the best schooling choices for their children while they’re on assignment. Helping your assignee navigate the complicated world of a foreign school system is necessary in order for their assignment to result in success. With their children’s schooling taken care of, they can focus more on getting used to their new job and taking in the culture of their new home. Think your assignees are having a tough time with their relocation? Download our ebook, Supporting Successful Family Relocation to learn how you can make assignments more successful for everyone involved.